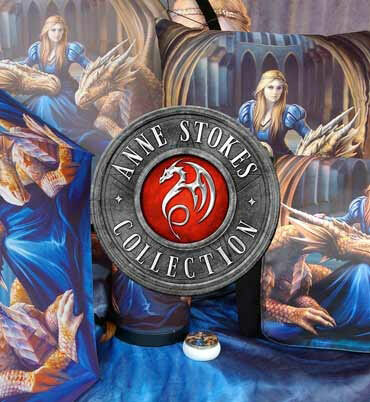 Coming from the untamed imagination of world-famous Fantasy and wildlife artist Lisa Parker, this round stool is exclusively available from Nemesis Now’s Premium high-quality alternative giftware collection. Beneath a clear starlit sky, an adult wolf stands on an ancient, gnarled tree root, looking down at their pup. The pup sits back and looks up at them, as if seeking guidance, reassurance and protection, or as if to break into their first howl. Behind them, the aurora borealis tinges the sky green, the silhouettes of fir trees reaching up. The sides of the stool are green, with the wolf pup repeated. With 3 wooden legs providing stability on uneven surfaces, this comfortable stool is a perfect gift for any student of the wilderness.